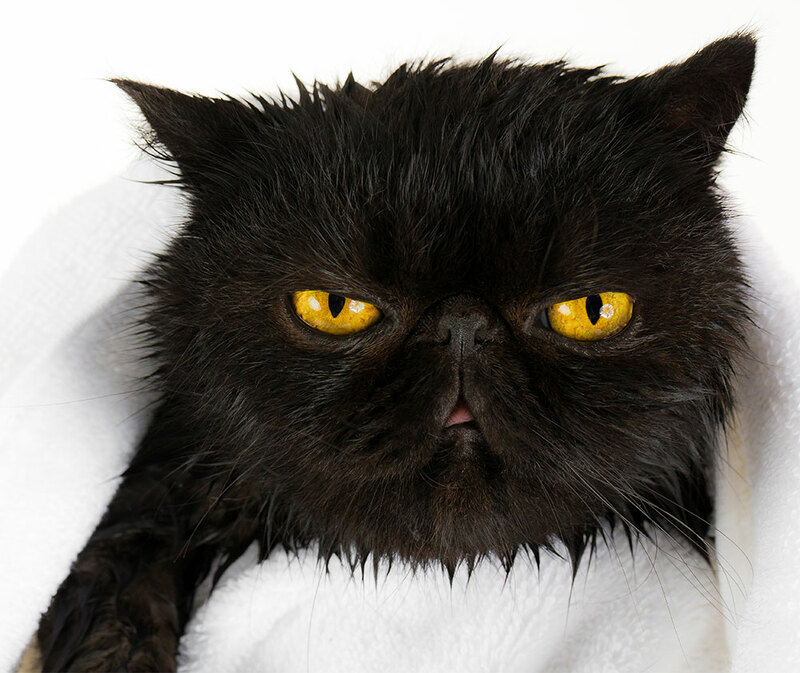 How Do You Feel About Scented Shampoos…for Your Pet? Why yes, fancy fragrant pet shampoo IS a thing. 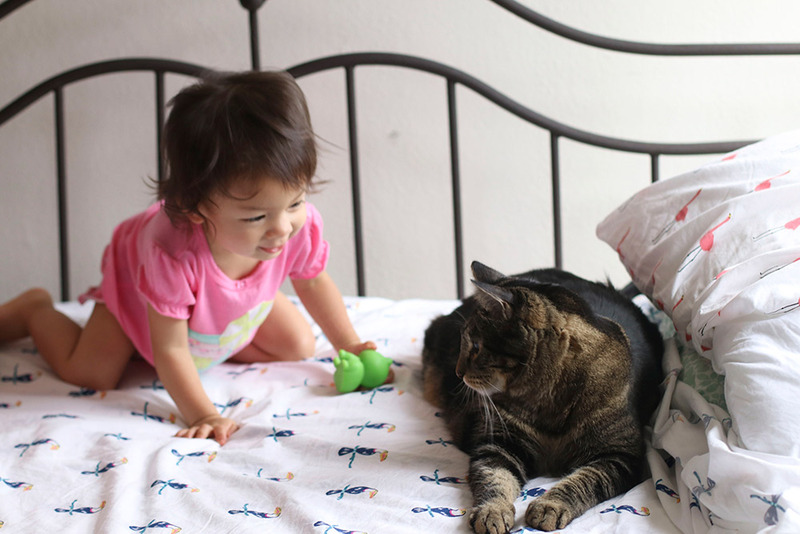 Yes, scented pet shampoos are totally a thing. 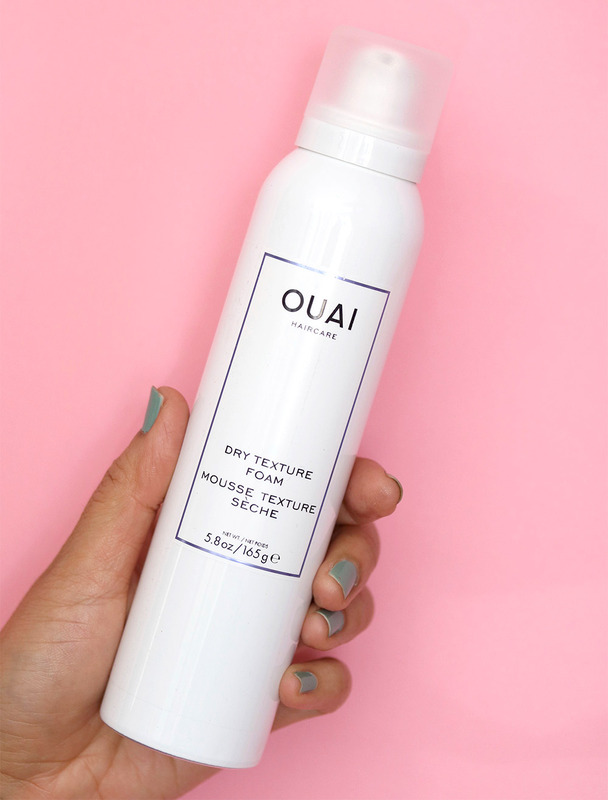 Human hair care company OUAI recently launched a musky floral $28 Pet Shampoo (“a spa day for your pet”) with notes with Italian lemon, Turkish rose, jasmine, iris, lily and white musk. Apple cider vinegar — For its natural antibacterial properties, and because it helps to balance pH-levels. Aloe leaf juice — Soothes dry, itchy skin. Tamarind seed extract — The natural equivalent of hyaluronic acid, because it promotes hydration while providing a velvety moisture barrier to keep pet hair hydrated. Um…do I really need to tell you that I kinda want to use it on myself?! Ha ha ha! I love a floral white musk as much as the next crazy cat lady, but I probably wouldn’t use this on Tabs, EVEN IF he let me give him a bath, which only happens once in a blue moon, because I like his au naturel kitty fur smell, which smells a little like me, a little like El Hub, and a lot like a steamed pork bun (weird, I know…but it’s comforting!). Sometimes it also exhibits notes of Burt’s Bees Baby Lotion. Hmm… I’m not sure how Tabs would feel about fragrant shampoo; however, I do know how he feels about baths (he’s not a fan). I suspect that he wouldn’t want to put anything on his fur that could potentially overwhelm his million-dollar sense of smell, you know? Because what if he accidentally slipped out of his couture cat collar/harness one morning and had to fend for himself and live off the land, but he couldn’t smell an approaching cat criminal because his kitty nose was overwhelmed by notes of Turkish rose? Anyway, how do you feel about fragrant shampoo for pets? Inquiring minds want to know. I love that I can walk around nowadays with messy hair that looks like I just woke up, but have it be, like, a legit hairstyle (Dear Beauty Goddesses, please don’t let this trend go away!). Texturizing sprays (or naps on the couch) are the typical way to get this lived-in look, where you’ve got clumps of hair sticking together and tussled waves like you just emerged from a wind tunnel, and there are lots of good ones out there, but now there’s a new way to get the same look by going down a different path, and it’s from OUAI (you’ve probably seen them all over the ‘gram). Dry Texture Foam is $28 for a decently-sized 5.8-oz. bottle, and it’s for curly, wavy and straight hair types. You shoot a little foam into your palm, then work it through your hair while it’s dry, starting at the tips and working your way up the shaft. 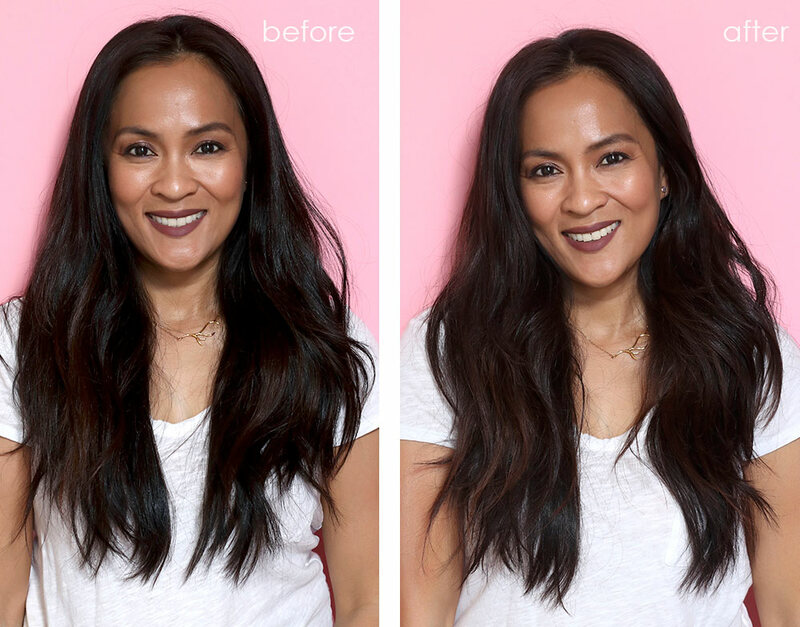 It does everything a texturizing spray does — you know, roughing up the hair, upping volume, keeping the curl pattern — but in some ways, it does them so much better. I really like the “piece-y” effect I get from this foam. The foam gathers up more strands and clumps them together into chunkier pieces than the sprays I’ve used, which makes my hair more visually interesting, a.k.a. messier. LOL! I also like that it roughs up the strands just a touch, like you took a 10-minute cat nap at your desk at work (hey, no judgement), but not like you got caught in a tornado. 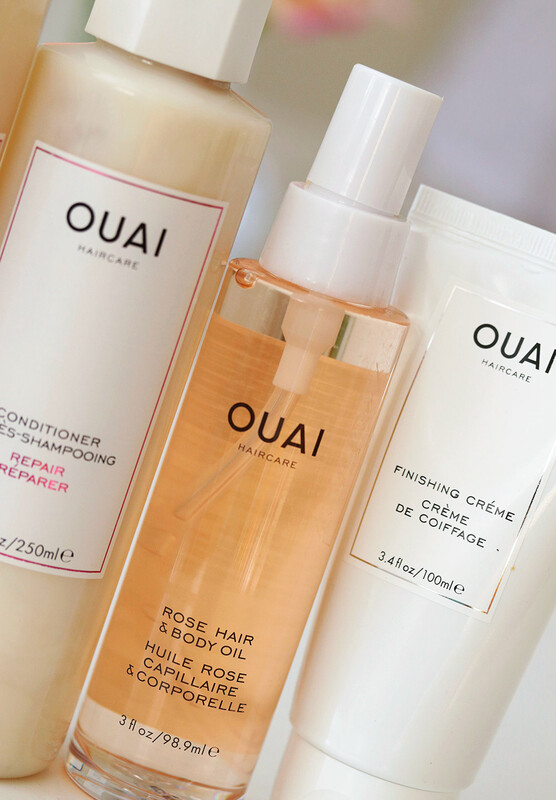 Now, OUAI products generally have strong fragrances, and when I put this in my hair in the morning, I smell it all day long. It’s SUPER strong and gets up in your business like that one Auntie at Filipino parties who’s all, “Why aren’t you married to your boyfriend yet? Why don’t you have kids? Aren’t your parents sad they don’t have grandchildren yet?” It smells exactly like OUAI’s shampoo and conditioner or a Byredo white floral with honeysuckle, jasmine, lily of the valley, and some white musk thrown in there for schmexiness. Did you ever think you’d get this close to my roots…? I kid, I kid! 🙂 No, you really don’t need to be all up in my cowlick, and you REALLY don’t need to be all up in it now that my roots are starting to peek through, OMG. When the heck is my next hair appointment!? Anyway, there’s an unruly grotto of hair at my hairline with strands that jut and shoot out at weird angles, and I usually have to coax them into place with a dab of flexible hair paste and hairspray. 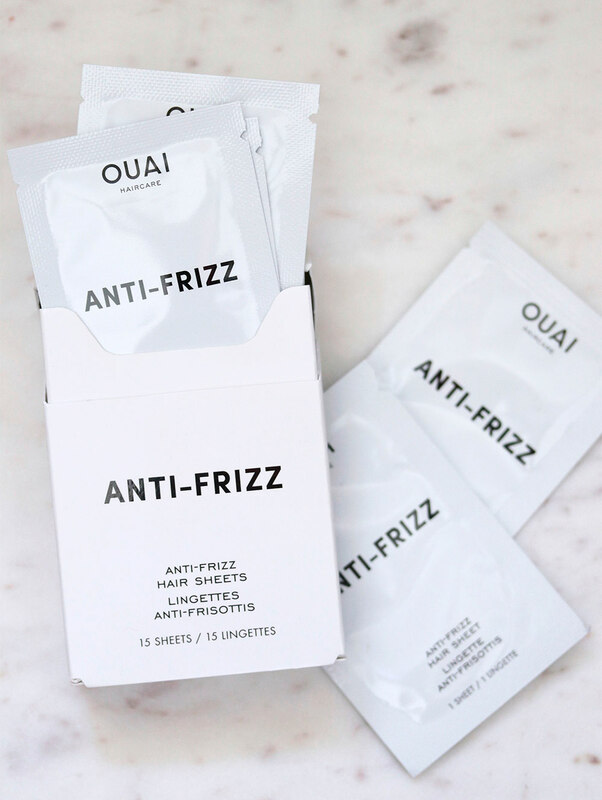 That usually does the trick, but when it doesn’t… Say hello to these OUAI Anti-Frizz Hair Sheets. 2. These smell like Pottery Barn. SERIOUSLY. You know that smell that immediately invades your space when you walk into a Pottery Barn store? Well, these sheets smell exactly like that — like expensive white pillar candles with notes of magnolia, wax and overstuffed, over-sized down chairs. Mind you, I like it. It’s just very strong, and it lingers a while. 3. Tear, tame, then toss. These individually packaged sheets, which come 15 to a box for $18, are soaked with hair-smoothing oil. 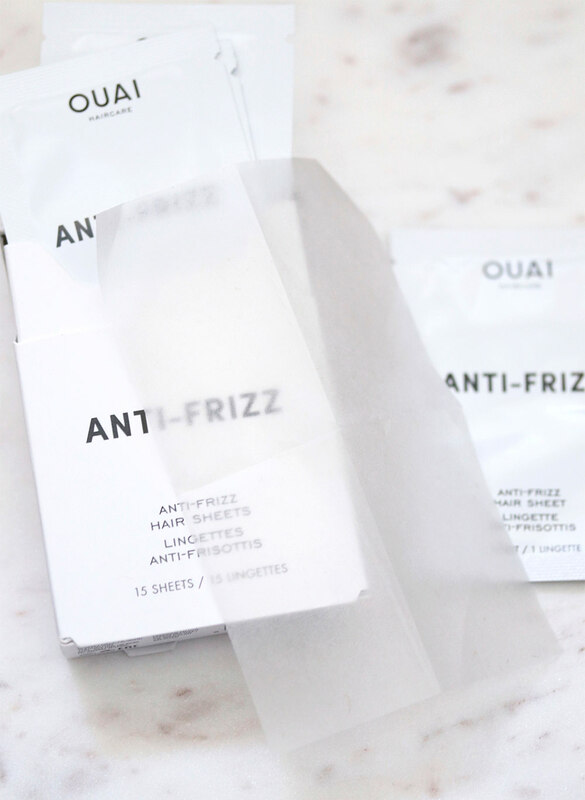 You just tear one open to get to the sheet, which feels like an oil-coated piece of wax paper, then smooth the sheet on your hair wherever you need to de-frizz. 4. 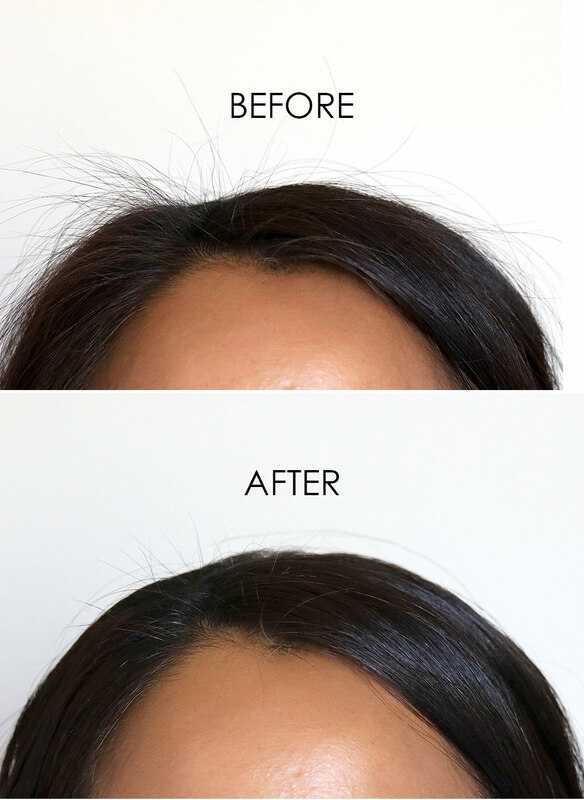 They’re better for touch-ups than they are for primary frizz control. As you can probably see from my cowlick pics, one sheet corrals most of the renegade hairs, but a few stragglers get away. It doesn’t catch every fly-away, and a few fly-aways are fine with me, but I still wouldn’t 100% rely on these sheets for intense de-frizzing. I think these are great as convenient once-in-a-while things, but they’re $1.20 each. That seems kind of expensive for a single use, doesn’t it? Like, sure, I’ll put one in my makeup bag for when I have an important meeting at HomeGoods, and I want a last-minute tszuj to look my best, but if all I’m doing is heading to baby story time, I don’t think I’d use one of these. show, The O/A. LOL! The proper pronunciation is “whey,” like the protein powder, and it’s a casual way to say “Yes” in French. 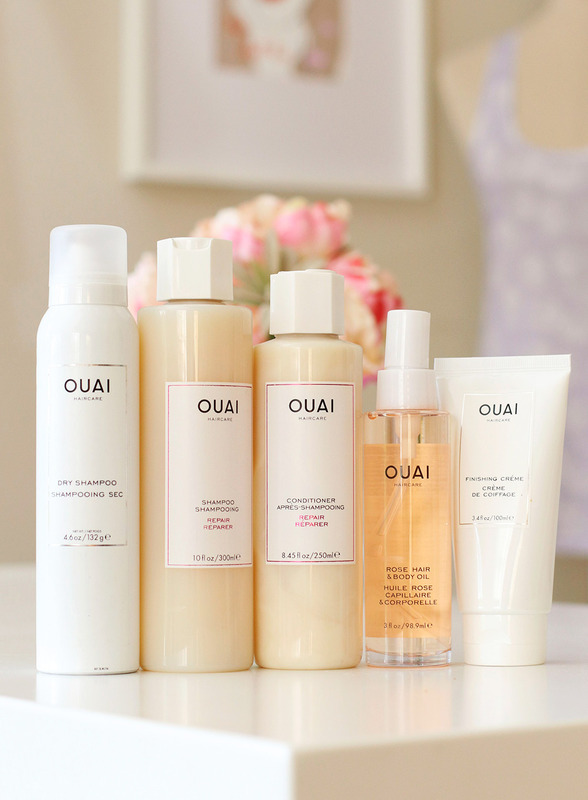 Ouai is a pretty new American line that was started in 2016 by celebrity hair stylist Jen Atkin. 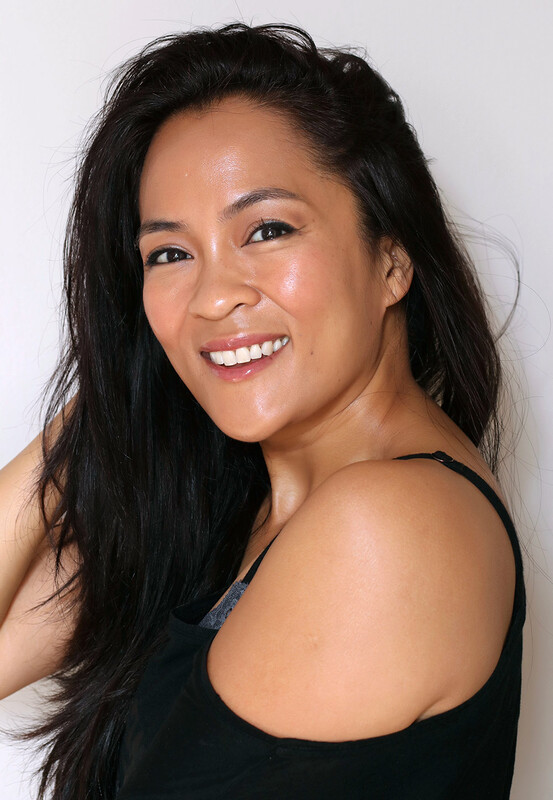 She’s worked on Gwen Stefani, Jessica Alba and many other locks of the A-listers. The products are cruelty-free and paraben-free, and they range from $24-32, so they’re in the Bumble and Bumble/R+Co/IGK price range. You can find the brand’s shampoos, conditioners, hair supplements and styling products (and a couple of body products thrown in for fun) at Sephora. There are about 30-something products, give or take, so it’s a pretty streamlined brand. Jen’s aim was to make products that make it seem like you spent two hours styling your hair, when in reality you spent 15 minutes. And girl, when you’re chasing down a rambunctious toddler who is currently into everything, you don’t EVEN KNOW how much that speaks to my soul! The line isn’t just about getting sh*t done in minimal time. The tubes and bottles also look lovely perched on a bathroom shelf (you know me and those sans serif fonts, man! ), and everything — seriously, every product — smells like perfume from a hard-to-find fragrance boutique in Paris. Like, sometimes I spray the Dry Shampoo, which smells like violets, roses, musk and lemons, into my roots as an improv perfume. All of the products look and smell expensive and indulgent, but they’re also price-wise accessible.